Pea to Pumpkin | Win A Family Fun Pack to the California State Fair! Home » Blog » Win A Family Fun Pack to the California State Fair! Win A Family Fun Pack to the California State Fair! The State Fair of California (July 12 – 28) starts today! The ever -so-popular Kids Days are still Tuesdays (July 16 & 23) with kids 12 and under for free and $1 rides for everyone! The Read to Ride Program is for kids K-8; read two books and get two free ride vouchers! Hall of Heroes Exhibit: This new exhibit lets your child (or really anyone who loves superheroes and comics!) test their superhero powers, pop into Batman’s Batcave and get some fun photo ops. 5th Dimension Experience: Explore a theatrical environment with 3-D glasses with lights, lasers and ground fog as you walk through a variety of fun adventures. Jewels of the Jungle: Experience the Amazon right at the State Fair – with gorgeous exotic plants and animals. The folks at the State Fair have been kind enough to give me a Family Fun Pack to award to one lucky winner! The pack includes four general admission tickets, four ride tickets and one parking pass. WHAT IS YOUR FAVORITE THING TO DO/EAT/SEE AT THE STATE FAIR? WINNER WILL BE PICKED AT RANDOM END OF DAY ON FRIDAY, JULY 12th. 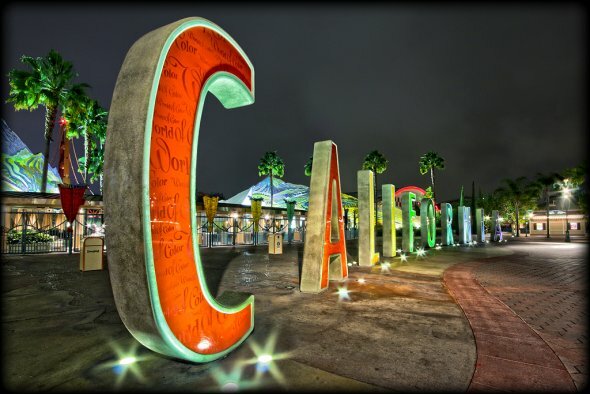 *photo from Sactown Magazine; giant letters from Disneyland, now on display at the State Fair of California. I LOVE the CA State Fair! I love that there is a nursing area & play area & resource center for moms/families! I love the cooking demos! I love love love the hypnotist! I love the county exhibits! I love the sense of community! Fun!! !